(Newser) – A Chicago singer who appeared on the Mexican version of The Voice in 2011 has died after he was shot in an ambush while celebrating his birthday with friends. The Cook County Medical Examiner's office confirmed that 45-year-old Alejandro "Jano" Fuentes died on Saturday. 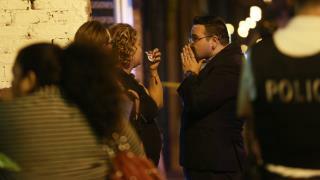 He was shot three times in the head late Thursday outside his Tras Bambalinas School on Chicago's southwest side, reports the AP. The attack happened less than a week after the killing of Christina Grimmie, who appeared on the US version of the show. Authorities say a man shot her while she was signing autographs after a performance in Orlando, Florida. The man then killed himself. Well, it was in Chicago. What a shame. I love the city, but hate driving there. The democrat run cities where lawlessness runs rampant!